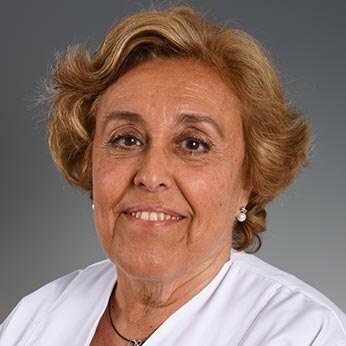 I am the head of the Paediatric Allergy and Clinical Immunology Department at SJD Barcelona Children's Hospital. I am a paediatrician specialised in Allergology. In all my career I got an extensive experience in paediatric food allergies and oral immunology with foods. Another specialties of my mine is the treatment of the symptomatology associated with respiratory allergy and atopic dermatitis in children. Actually I am the President of the Spanish Paediatric Clinical Immunology and Allergy Society (SEICAP). Furthermore, I participate actively in the training and education committee of the European Paediatric Allergist. European Paediatric Allergist (Education and Training Committee – Paediatrics Section, EAACI), 2006. PhD in Medicine and Surgery. Doctoral thesis: Faculty of Medicine. University of Barcelona (UB), 1993. Specialist degree in Allergology, 1985. Bachelor of Medicine. Faculty of Medicine. Autonomous University of Barcelona, 1975.